TUBE CLAMP HANDRAILING SYSTEM - buy online! All fittings for any tube handrail, plus galvanised tube cut to any length. Galvanised tube and handrail fittings in all sizes for simple fabrication of handrails, safety barriers and rack systems for storage. May also be used for quick and easy construction of stages and platforms for events. We are happy guide you through your selection of fittings to ensure that you order exactly what you need. For use on straight and level guardrail to connect the upright to the top rail. Tubes may be joined inside this fitting. Normally used in conjunction with the 'MIDDLE 1 INTERSECTION' fitting when building double rail handrail or guardrail. For use on straight and level guardrail to connect the two top rails to the upright at a 90° corner post. 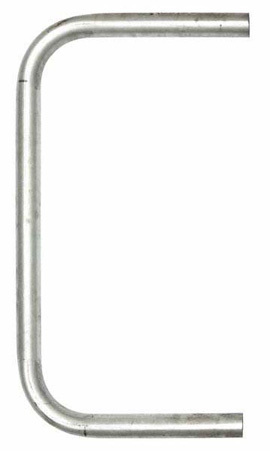 Normally used in conjunction with the 'MIDDLE 3 CORNER INTERSECTION' fitting when building double rail handrail or guardrail. Used mainly for sloping handrails, this swivel pivots at least 80° from the fitting in either direction. For use on straight and level guardrail to connect the top rail to the upright. Normally used in conjunction with the 'MIDDLE 2 SIDE TEE' fitting when building an end post on a double rail handrail or guardrail. This 2 way elbow can also be used to create a 90° bend. For connecting two tubes at angles of 15°-60° on guardrails or handrails. Using this fitting means it is not necessary to bend tube. 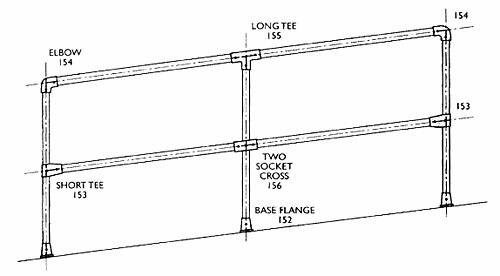 For use on straight and level guardrail to connect the mid rails to the upright. The upright must remain continuous with the cross rails being cut. 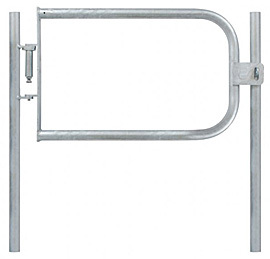 Normally used in conjunction with the 'TOP 1 LONG TEE'' fitting when building double rail handrail or guardrail. For use on straight and level guardrail to connect the upright to the top rail or the end or mid rail to the upright. Do not join tubes inside this short tee - use a 'TOP 1 LONG TEE' fitting. Normally used in conjunction with the 'MIDDLE 1 INTERSECTION' when building double rail handrail or guardrail. For use on straight and level guardrail to connect the mid rails to the upright at a 90° corner. Normally used in conjunction with the 'TOP 3 CORNER' when building double rail handrail or guardrail. For use on steeper slopes or stairs as an intermediate cross connector with an angle of 30°-45° with the upright remaining vertical. Normally used in conjunction with the '129: ADJUSTABLE SHORT TEE 30-60°' when building double rail handrail or guardrail. This adjustable cross fitting is not recommended for use as the top fitting on handrail or guardrail. Typically used on sloping handrail/guardrail. This fitting combines 1 x 167M & 2 x 173F. The swivels can travel approximately 85° from the horizontal in both directions. NOT DESIGNED TO WITHSTAND LATERAL LOADS. AN ENTIRE STRUCTURE SHOULD NOT BE BUILT USING ONLY SWIVEL FITTINGS, THIS WOULD BE UNSTABLE. For constructing market stall or play frame type structures. Ramp tee fitting designed for use on ramps or other shallow gradients between 4-10°. A structural base plate for all applications using vertical posts. For guardrail the fitting should be positioned with the base holes at 90° to the line of the rail to give maximum strength. For terminating cross rails to walls etc. It may also be used as a base plate for non-load bearing structures such as chairs, benches, tables etc. DO NOT USE AS A BASE PLATE FOR HANDRAIL/GUARDRAIL OR IN LOAD BEARING APPLICATIONS. For use as an offset structural side palm fixing for either straight or sloping guardrail. The tube is unable to pass through the standard fitting - should this be required then the base must be reamed out. Use in conjunction with a 'BASE 7 WALL HANDRAIL BASE' when a secondary inline base fixing is required. For use as a structural side palm fixing for the upright on either straight or sloping handrail or guardrail keeping the upright as close as possible to the slope or stairs. When used as a secondary inline fixing the base needs to be machined to allow the tube to pass through and the bottom fixing hole then becomes redundant. BASE THICKNESS 7MM. Non-structural male locating swivel. This fitting combines 1 x 169M & 1 x 173F. The swivel can travel approximately 85° from the horizontal in both directions. NOT TO BE USED AS A BASE PLATE FOR GUARDRAIL AND NOT DESIGNED TO WITHSTAND LATERAL LOADS. Designed to provide a base for railings and other structures that need a side mounted flush fixing plate. When used as a secondary inline fixing the base needs to be reamed out to allow the tube to pass through. For wall mounted handrailing, this fitting can also be used to hold in place kick plate on guardrail, or even display boards at exhibitions. DO NOT USE AS A SOLITARY BASE PLATE FOR HANDRAIL/GUARDRAIL OR SIMILAR LOAD BEARING APPLICATIONS. For use as a base plate for a removable upright that can be removed without leaving any obstructions. The tube is held in place by the setscrew. The casting hole should be a minimum 300x300x300mm. 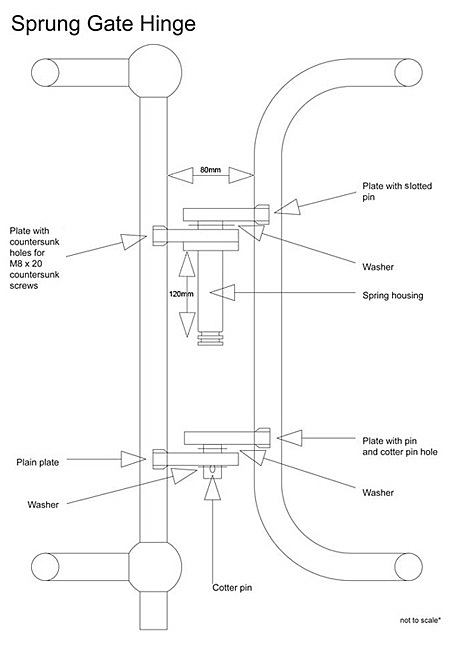 For weather protection around a 'BASE 1: RAILING BASE FLANGE' on a flat roof guardrail system. This fitting needs to be sealed with a suitable sealant. Non-structural male locating base, typically used to create a swivel base. NOT DESIGNED TO WITHSTAND LATERAL LOADS. For joining tubes together in the centre of a structure. This four way cross fitting allows the upright to pass through the centre with the cross rails joining at 90° to the upright. For adding to an existing offset structure without the need for any dismantling. Inline external connector for joining two tubes together in a run. For an inline joint that is the same diameter as the tube, the 'CONNECTOR 2 INTERNAL CONNECTOR' fitting should be used. Not recommended as a structural joint. Inline internal connector for joining two tubes together. Only for use with medium gauge 3.2mm wall thick tube. This joint should never be used as a load bearing joint and must be used within 100mm of an upright. For retaining weld mesh panels into handrail/guardrail. To correctly retain the weld mesh panel in place using this clip, the mesh should be framed with an 8mm bar. Supplied with stainless steel hexagonal head screw and nut. For retaining weld mesh panels into handrail/guardrail. To correctly retain the weld mesh panel in place using this clip, the mesh should be framed with a 8mm bar. Supplied with stainless steel hexagonal head screw and nut. For providing additional strength to fittings on high load structures. Female section of a two-part gate hinge, used in conjunction with the 'HINGE 8 HOOK PART' fitting. Male section of a two-part gate hinge, used in conjunction with the 'HINGE 7 EYE PART' fitting. This chain hook is not recommended as a permanent chain location - for permanent chain locations one end should be retained in place using a '173M: SINGLE SWIVEL COMBINATION' and fixed with a nut and bolt. A plastic end cap to seal the open end of tubes. This fitting is a frictional fit only. For a permanent fix, a suitable adhesive should be used. Adjustable fitting between 30-60°. Typically used as a tee connection on steeper stairs and slopes with a vertical upright. May also be used as a structure bracing. For adding to an existing inline structure without having to dismantle the original structure. MAXIMUM BOLT TORQUE 15N/M. Uses a M10 stainless steel bolt. The Railing Horizontal Side Support is designed to provide a base for railings and other structures that need a side mounted flush fixing plate. When used as a secondary inline fixing the base needs to be reamed out to allow the tube to pass through. For offset variable angle sloping handrail or guardrail in conjunction with a 'MIDDLE 2 SIDE TEE' or 'ELBOW 1 90° ELBOW' fitting. Product image displays 2 units - Items sold as single, to create the effect in this illustration please order a pair.. 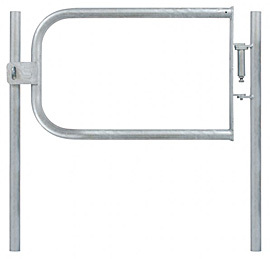 Ideal for retrofitting a horizontal piece to existing railings or structure. Useful when dismantling of the original construction would be difficult. Allows additions to existing structures without the need for any dismantling. This 90° crossover is designed to give a 90° offset crossover joint. The tubes may not be joined within this fitting. Typically used for the construction of pallet racking or shelved racking systems. Tubes may not be joined inside this fitting. Double male fitting with the connection lugs at 180° to each other. This fitting can also be used to retain display panels etc. NOT DESIGNED TO WITHSTAND LATERAL LOADS. For use with sloping handrail/guardrail. This fitting combines 1 x 168M & 2 x 173F. The swivels can travel approximately 85° from the horizontal in both directions. NOT DESIGNED TO WITHSTAND LATERAL LOADS. AN ENTIRE STRUCTURE SHOULD NOT BE BUILT USING ONLY SWIVEL FITTINGS, THIS WOULD BE UNSTABLE. Variable angle in-line connection with an adjustable range of up to 200°. Ideal for guardrailing and balustrading applications where the addition of a toeboard or kick plate is required. Slotted holes in the back plate allow for sideways movements to ease installation. Double male fitting with the connection lugs at 90° to each other. This fitting can also be used to retain display panels etc. NOT DESIGNED TO WITHSTAND LATERAL LOADS. Used in conjunction with the male fittings 167M, 168M, 169M & 173M. NOT DESIGNED TO WITHSTAND LATERAL LOADS. A versatile swivel fitting, often used for braces and where staircase middle rails join level sections. Tubes should not be joined within this fitting. A versatile swivel fitting, often used where top rails join level sections, or for braces. A bracing and strut component to strengthen structures. 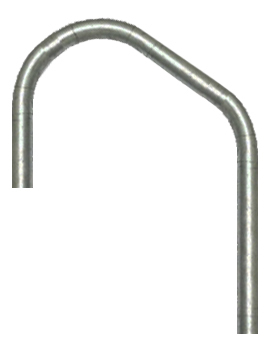 Used on the eaves end of a roof system in conjunction with the '191: RIDGE FITTING'. Mainly for use at the top of a stairway decline. Variable angle between 40- 70°. Ideal for the construction of post pallets, with sockets for the upright and side tubes, plus locating bell for pallet stacking. Used on the ridge of a roof system in conjunction with the '185: EAVES FITTING'. For fixing panels, display boards or flooring to structures. Supplied with a pre-drilled hole. This fitting allows existing structures to be extended without any need for dismantling. The tube must not be joined within the add on short tee. 90° bolt-on joint ideal for making additions or alterations to an existing structure where a 'CROSSOVER 7' cannot be used. Tubes should not be joined within the fitting. For use on steeper slopes or stairs as an intermediate cross connector with an angle of 30-45° with the upright remaining vertical. Normally used in conjunction with the '129: ADJUSTABLE SHORT TEE 30-60°' when building double rail handrail or guardrail. This adjustable cross fitting is not recommended for use as the top fitting on handrail or guardrail. Similar to the '152: BASE FLANGE FOR SLOPE UP TO 11°', this fitting is used to set the upright at an angle of 11º–30º. This fitting should only be subjected to light loads which cannot be positioned at 90º to the applied load. For greater loads or other tube sizes a 'BASE 1 TALL BASE' should be used with the upright bent to the required angle. For use on safety railing with slopes of 11-30º, fixing the top rail to a vertical intermediate upright. Used on safety railing with slopes of 11-30º, fixing the mid rail to a vertical intermediate upright. For railings required on slopes and ramps between 0-11°. Available to suit tube 'D' (Ø48.3mm). NB. 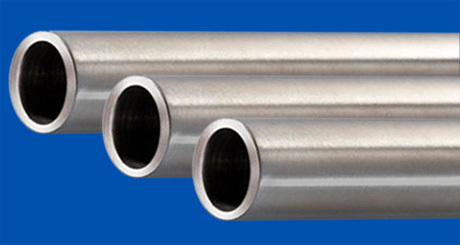 The tolerance on standard fittings is between 3-5°. For use as a structural base for sloping handrail or guardrail of 0-11° enabling the upright to remain vertical. For use on shallow sloping handrail or guardrail of 0-11° to connect the upright to the top rail or the end or mid rail to the upright. Normally used in conjunction with the '154: ELBOW FOR SLOPE UP TO 11°. Tubes may not be joined inside this fitting - to join tubes use the '155: LONG TEE FOR SLOPE UP TO 11°'. 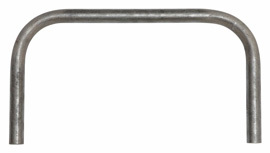 For use on shallow sloping handrail or guardrail of 0-11° at the start or end of a run to connect the upright to the top rail. This elbow may be used at either the bottom or top of an incline. Normally used in conjunction with the '153: SHORT TEE FOR SLOPE UP TO 11°' fitting. For use on shallow sloping handrail or guardrail of 0-11° to connect the upright to the top rail. Tubes may be joined inside this fitting. Normally used in conjunction with the 156: TWO SOCKET CROSS FOR SLOPE UP TO 11°' fitting. For use on shallow sloping handrail or guardrail of 0-11° to connect the mid or lower rails to the upright. The upright must remain continuous with the cross rails cut. Normally used in conjunction with the '155: LONG TEE FOR SLOPE UP TO 11°' fitting. Proprietary coated, case hardened setscrews. When tightened to a torque of 39Nm they give a slip load of 900kg to a safety factor of 2. Hexagonal Allen Key - the only tool required to tighten up a setscrew. The pivot point offers an adjustable angle to handrail standards, allowing for instant installation of handrail on slopes, so no more waiting for the fabrication of costly raked standards. No fabrication of raked specials required. 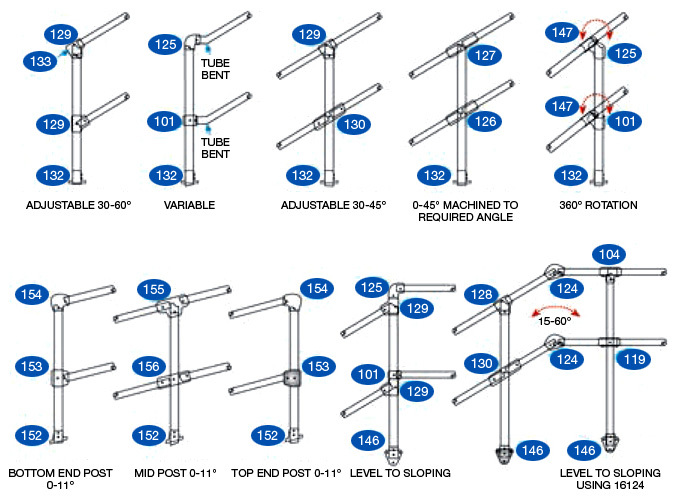 These pre-assembled tube clamp posts help reduce installation time. They are supplied in a standard height of 1100mm and constructed using 'C' tube (Ø42.4mm). Used in conjunction with tube cross rails of 1450mm, they conform to Building Regulations. They are supplied in a standard height of 1100mm and constructed using 'D' tube (Ø48.3mm). of the Building Regulations 2004 regarding provisions for disabled people. using 42.4mm O/D galvanised tube. The Building Regulations state the rail shall be between 40 and 45mm O/D. All fittings are cast iron and galvanised to BS EN ISO 1461. Suitable for stairs, ramps and walkways. For uprights use Type D tube (48.3mm). For horizontals use Type C tube (42.4mm). To attach the 'DDA04 INTERMEDIATE BRACKET' or the 'DDA02 HANDRAIL CONNECTOR' to the 48.3mm o/d upright. o/d upright. Used in conjunction with DDA01 UPRIGHT CONNECTOR and DDA07 INTERNAL CONNECTOR. To support 42.4mm o/d handrail tube to a wall. The tube is fixed to this WALL BRACKET using either 2 x self tapping screws or 2 x pop rivets. To support the top or middle rail tube at an upright in conjunction with a 'DDA01 UPRIGHT CONNECTOR'. The 42.4mm o/d tube is fixed to this fitting using either 2 x self tapping screws or 2 x pop rivets. For terminating the 42.4mm o/d handrail tube back to a wall. Used in conjunction with a DDA07 INTERNAL CONNECTOR. Expanding elbow for creating a smooth 90° bend in the 42.4mm o/d tube. Expanding internal connector for joining sections of 42.4mm o/d tube, or other DDA fittings. For creating an adjustable bend between the horizontal and the vertical. Our Terms & Conditions are simple: you pay us & we promise to deliver exactly what you have ordered. Click HERE for Return, Cancellation & Delivery Policies. Bexhill Steelworks Limited, Unit 3, Breadsell Farm, St Leonards-on-Sea, TN38 8EB. Registered in England - Company No. 05368388. VAT No. 850735425.